Wednesday, 26 December 2018, 1:29p.m. This year, Harry and Meghan weren't invited to stay with William and Kate. Thirty or more of the Queen's nearest and dearest descended on her Sandringham estate for Christmas yesterday. Although imposing, the main house is small by Royal standards, with accommodation described as "cramped" - which means finding space for the Monarch's expanding brood requires exhaustive logistical planning. In recent years, some of the more junior family members have found themselves billeted in servants' quarters, while others take over cottages on the Norfolk estate. If nothing else, depositing Harry and Meghan with William and Kate over at Anmer Hall, the Cambridges' stunning ten-bedroom Georgian pile, would have helped ease the crush. It is only a couple of miles away and the arrangement worked well last year, when the Duke of Sussex rhapsodised about their "fantastic" stay. And what better way to signal that tensions between the two Royal wives are not as serious as suggested? Yet The Mail on Sunday has established that this Christmas, the Sussexes were housed with the other guests - 'packed in like sardines', according to a source - under the Queen's roof. Against reports of growing distance between the two couples, it will be impossible for some not to interpret this as a snub to the Duke and Duchess of Cambridge. 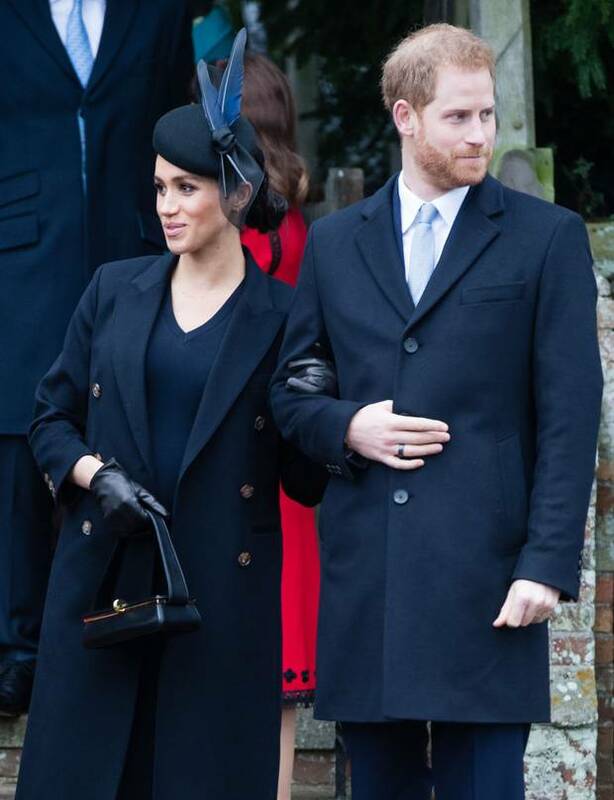 Spacious, peaceful and extensively refurbished, Anmer Hall would have provided pregnant Meghan with a welcome haven away from overflowing Sandringham House. Even at the best of times, Christmas at the Queen's Norfolk residence can be daunting. Little if anything is left to chance. Timetables are placed in guests' rooms, for instance, to ensure no one is late for drinks and meals. And if you are a Los Angeles native still learning to navigate The Firm's infinitely complex social mores, it is more daunting still. Having her sister-in-law close at hand would help. But then few doubt that a froideur between the two duchesses does exist, even if it has sometimes been overplayed. Sources say Meghan and Kate are "very different people" and simply "don't get on". It also emerged that Kate was left "in tears" after a fitting for Princess Charlotte's bridesmaid's dress before Harry and Meghan's wedding in May. One Royal insider gives a prosaic explanation for the Sussexes' seasonal sleeping arrangements. Last Christmas it was felt that allowing Harry and Meghan, then unmarried, to spend the night at the main house would be inappropriate. Inviting Meghan to share in the festivities in the first place had been a break with convention - there was no need to shatter protocol completely. Anmer Hall offered the perfect solution. But their marriage changed everything. It would now be unusual, said the source, for the couple not to stay with the Queen. Even so, it is a decision that will inevitably stoke further speculation. Certainly it is unlikely to halt the drip, drip of 'War of the Waleses' stories. How Meghan, naturally forthright, must be struggling to hold her tongue. It was reported last week that she put paid to her husband's plans to join the traditional Boxing Day pheasant shoot at Sandringham, just as she did last year, because of her opposition to bloodsports. Insiders now say this claim, which adds another layer to the notion of Meghan as dictatorial - "What Meghan wants, Meghan gets," as Harry is said to have put it - is wrong. Harry did indeed miss last year's shoot, but only because he had to drive to London for a meeting the following day. And this year nothing has yet been decided, according to a Palace source. True, the Duchess is an ardent animal lover but she is understood to be relaxed about Harry's hobby. So much so that on several occasions this year she has accompanied her husband on shoots, even though she has not actively participated herself. The most recent was earlier this month at a friend's Wiltshire estate. A source said shooting is "ingrained in Harry's nature", adding that "Meghan would never try to change that about him". 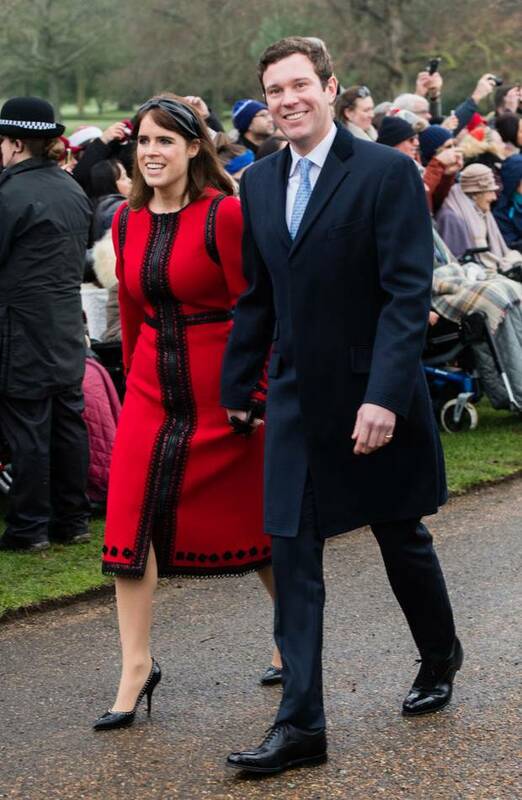 The only public window into the Royal Family's Christmas was the 11am annual outing to St Mary Magdalene Church, where the two couples presented a united front as they greeted a crowd of nearly 400 well-wishers. A Royal insider said: "Everybody is on parade when they go to Sandringham. This is not a family sitting around having a jolly time relaxing. They are all eyeing each other up and seeing who is up and who is down the pecking order. It's full of tension. "Rather like Camilla, who is said to hate Sandringham, Harry and Meghan will be out of the door as fast as they possibly can." After Christmas, the Cambridges are expected to take George, Charlotte and Louis to the Middleton home in Bucklebury, Berkshire.The Sussexes, meanwhile, will probably head to their bolthole in the Cotswolds. It is likely that at some point they will see Doria, Meghan's mother, who last week was still in Los Angeles but is expected to be flying in to the UK at some point during the holiday. While Doria would have been made welcome at Sandringham, she did not be attend the activities there. "Meghan certainty wants her mother around at Christmas, particularly as her father is making such a nuisance of himself at the moment," said the insider. "Meghan is isolated, things aren't going as well as they should be she needs her mum."